PR - Samoa Airways, the national carrier was the airline of choice for many of the delegations from overseas for the Methodist Church’s annual conference which started with the Women’s Fellowship this week, particularly from Australia. Flights out of Sydney were full during the last couple of weeks, and this was mainly credited to travellers coming over for the Methodist conference. 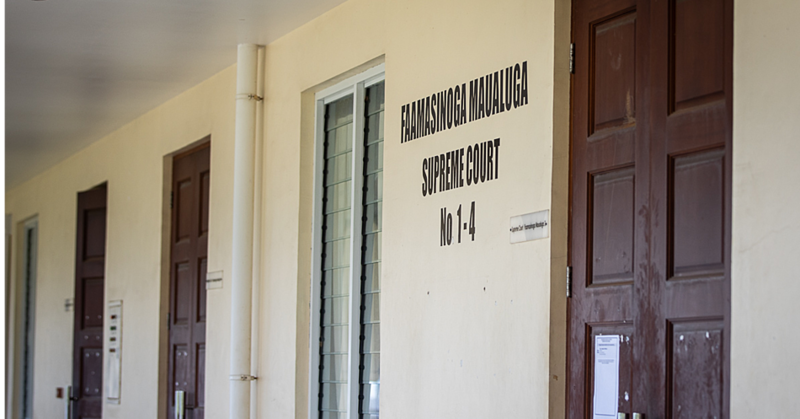 A visit to the Church’s headquarters at Faleula last week attested to this, with many delegations from Australia and New Zealand saying they came over on Samoa Airways. It is this kind of support that the C.E.O. of Samoa Airways, Tupuivao Seiuli Tuala, said is highly valued by the airline. “The airline is especially appreciative of the support shown by the leaders and members of the Methodist Church who chose to fly with the National Carrier from Sydney as well as Auckland,” said Tupuivao. One of the key determining factors for most of these delegations in choosing Samoa Airways is the affordable fares. “The cheap fares were a big help for us in making it to this meeting,” said one *faletua from the Sydney synod, who took part in the Women’s Fellowship last week, a precursor to the main church conference this week. 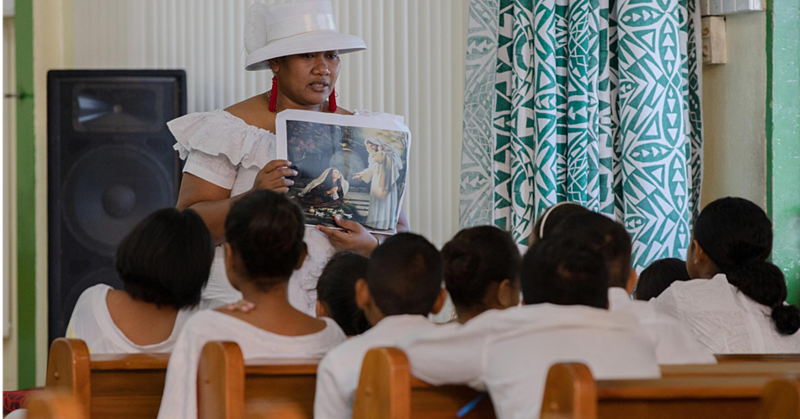 Hundreds of Methodist church women from overseas and across Samoa took part in this annual fellowship, held at the Maota o le Au Uso Fealofani at Avoka, Faleula. “We are very grateful for the great deals that we get from Samoa Airways, as it makes it easier for us to be able to afford coming over”. 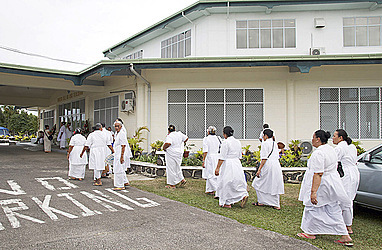 The Sydney synod comprised of more than 50 reverends, their wives and church members, all of whom came over on Samoa Airways. Another faletua from the Queensland synod said her overall experience with Samoa Airways was a pleasant one. “It was my first time to fly on Samoa Airways and I was pleasantly surprised. The service was really good. I am glad that I finally got to experience for myself our own airline, especially flying home at this time to be part of our church’s conference”. One faletua from Sydney echoed the same sentiments. “The food was really great and so was the service on board during the flight. But the biggest attraction for me was the cheap fares that allowed my whole family to come over for this very important event for our church”. 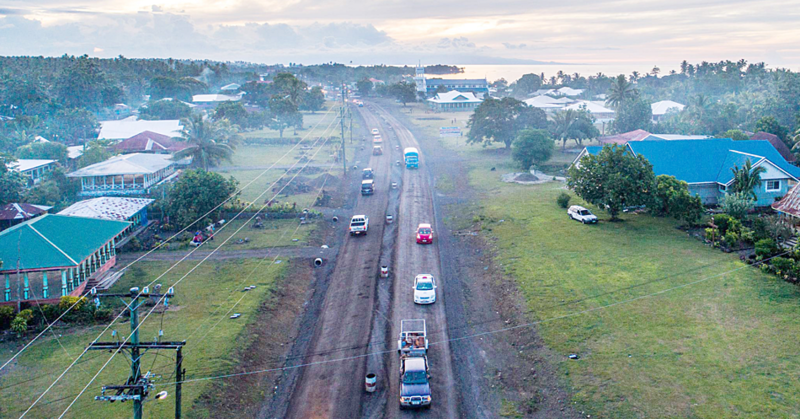 “We’re delighted that our competitive deals, inclusive fares and our warm Samoan hospitality, have been very well received by our people”, said Tupuivao. “We’re very encouraged by the feedback that continues to come through from the overwhelming majority of our customers and this is largely due to the hard work of my team from across the many areas of our operation, who continue to work hard to ensure our customers’ needs, from the time they book to when they fly and when they arrive at their destination are met”. Samoa Airways operates daily flights between Apia and Auckland and twice weekly non-stop flights between Apia and Sydney using a Boeing 737-800 configured with both Business and Economy Class. The Airline also operates multiple daily flights between Samoa and American Samoa using its fleet of DHC Twin Otter turbo prop aircraft.